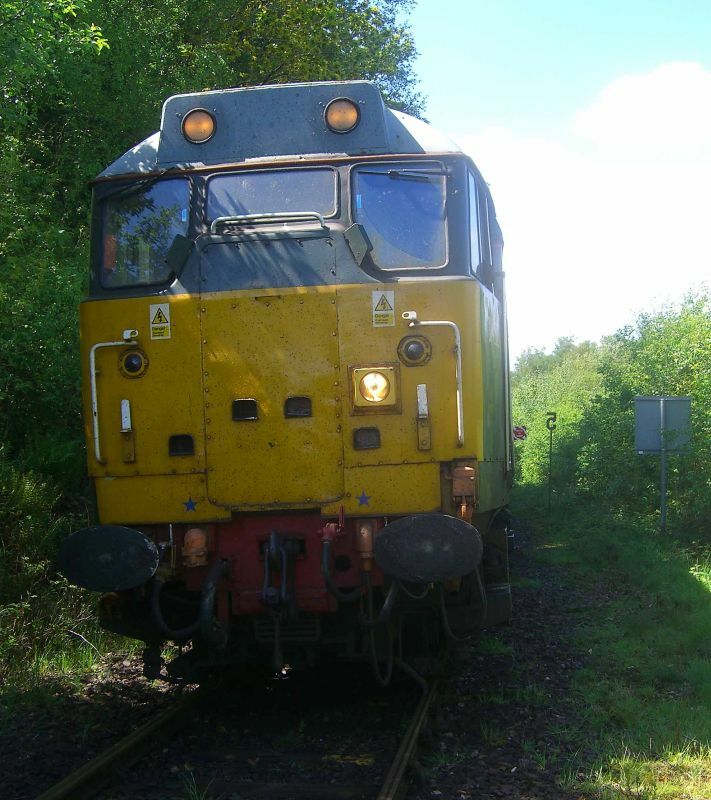 Unusual shot of 31452 taken at the groundframe south of Okehampton Station, whilst carrying out brake checks before departing for Derby. The rail grinder is out of sight behind the locomotive. taken on 2017-05-13 by Paul Martin.